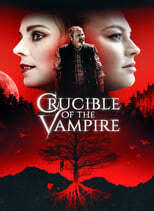 List of the latest vampire movies in 2019 and the best vampire movies of 2018 & the 2010's. Top vampire movies to watch on Netflix, Hulu, Amazon Prime & other Streaming services, out on DVD/Blu-ray or in cinema's right now. 2018, 2017 and the 2010's best rated vampire movies out on DVD, Bluray or streaming on VOD (Netflix, Amazon Prime, Hulu & More). Most people nowadays would associate vampire movies with whiny teenage drama, thanks to the ‘Twilight’ series. However, we’ve recently seen quite a lot interesting and daring vampire movies. Not all of these films were mind-blowing, especially script wise some of them had their shortcomings. But if a great vampire film needs anything, it’s aesthetics. Sensuous and seductive bloodsuckers with skins pale as a full moon. Shot like they’re in a fragrance commercial. Well, judge for yourself. In this article we look forward to the best new vampire films up to 2017 and, give a short overview of the 2010’s vampire cinema highlights so far. From typically American horror films, to foreign vampire films, because there was more than just the Swedish Let the Right one in.